With great news coming from morning saying that Puli trailer stands No.2 in India with having highest number of likes just after Salman Khan's Kick. Now SKT Studios has made an official announcement in their twitter account stating that the movie will be postponed from September 17th to October 1st. The reason for this time delay would be some graphical works need to be completed. Vijay Sethupathi starred Naan Rowdy Thaan directed by Vignesh Shivan has been scheduled to get released on October 2nd. It is evident that Thuppaki and Vignesh Shivan's Poda Podi released together on 2012. 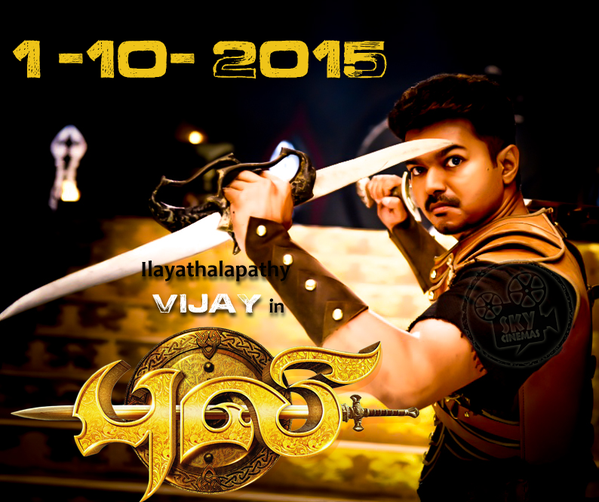 Stay tuned to Kollyinsider for latest updates on Puli.